Gene Autry, the first of the great singin’ cowboys of American popular culture, was also a dab hand at a Christmas tune. His biggest ever success was one: “Here Comes Santa Claus”. This is another, now pretty much forgotten, but a huge hit in its day. Released in 1951, “Thirty-two Feet – Eight Little Tails” was backed with “Three Little Dwarfs”. It was something like a two-song concept album, riffing on the theme of Santa’s sleigh. The numbered feet and tails refer to the reindeer doing the pulling, but my fave is the B side, in which we learn about three extra passengers in le traîneau magique du Père Noël. The song is as fluffy as an reindeer’s tail, but it is good, harmless fun. Happy Christmas to my fellow Christians. Happy holidays to those of different faiths, and the agnostic and atheist too. 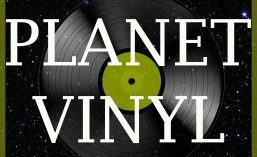 We all have our place, here on Planet Vinyl. Regardless of belief, can I share the old Christmas prayer? “Peace on Earth, and goodwill to all”. Man, do we need that right now? This entry was posted in 10", 1950s, 78 rpm, Pop, Single and tagged Carl Cotner and his Orchestra and Chorus, Christmas, Columbia (label), Gene Autry, The Three Little Dwarfs (song). Bookmark the permalink.